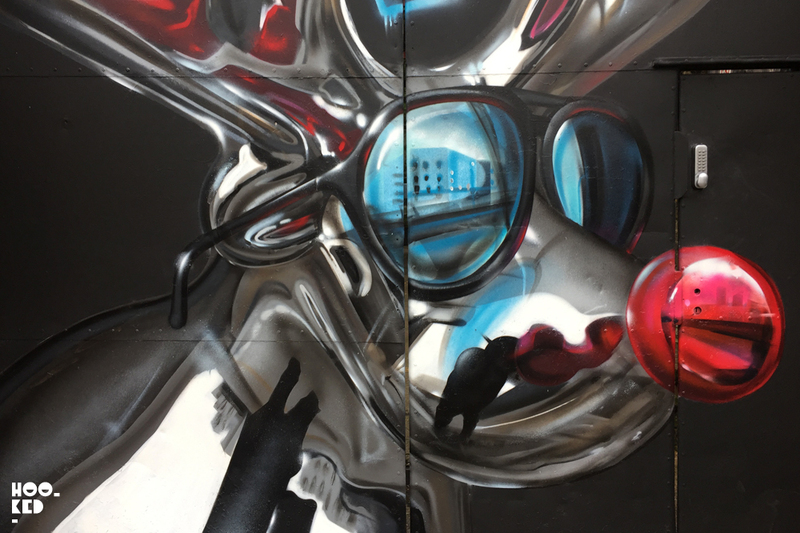 As the end of the year is fast approaching and while most people wind down for the Christmas and New Year period some artists were still out hitting the streets of London getting into the festive spirit with some Christmas themed works. 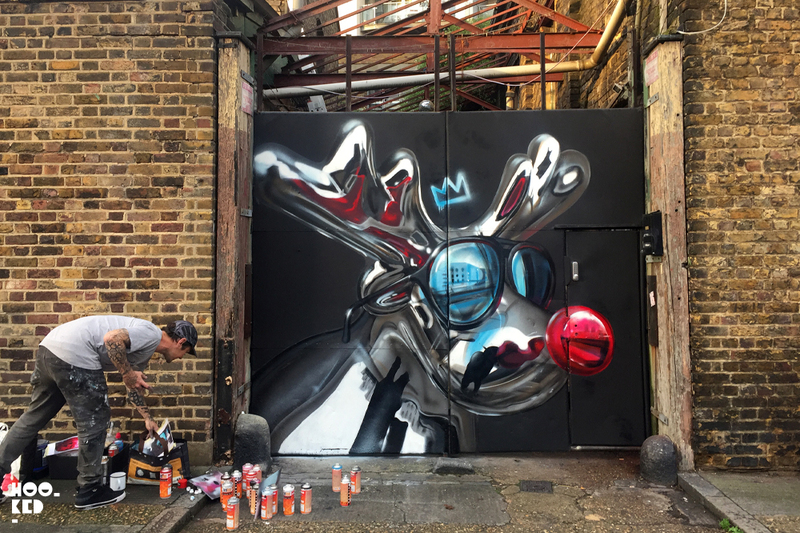 By chance we caught up with London artist Fanakapan earlier this week reprainting the metal gates along regents canal with a festive mural for holiday season. 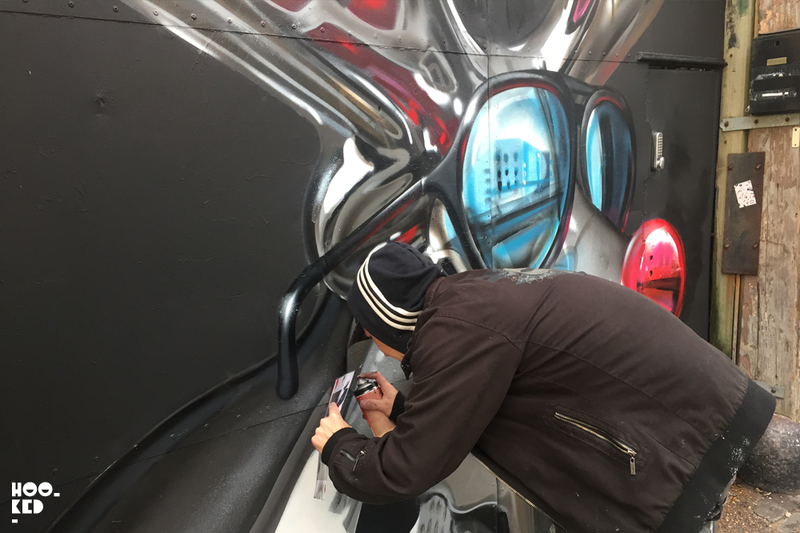 The artist has been paint at this spot regularly through out the year, earlier murals have seen him paint snoopy and helium ballon version of Woodstock the bird for a work he named 'Woodstock Got High'. 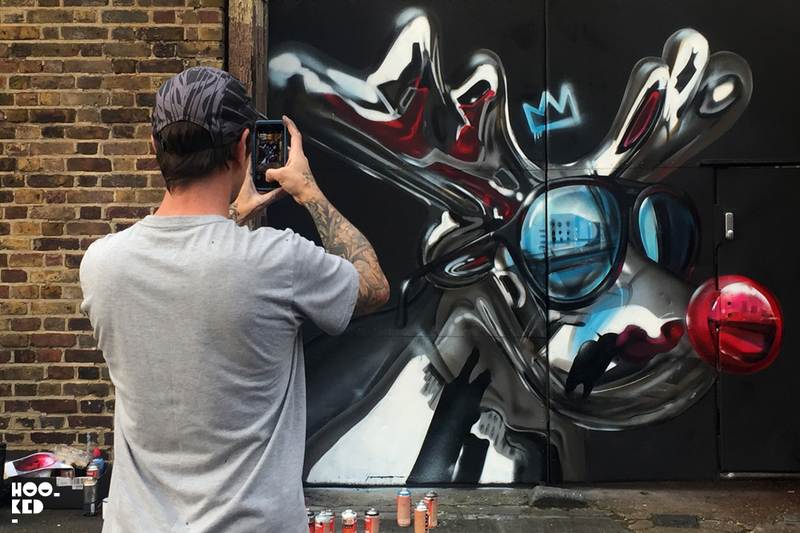 We also saw other works painted at this location at intervals over the year including a 3D chrome octopus! We returned over the weekend to catch some photos of the finished work before the holidays. 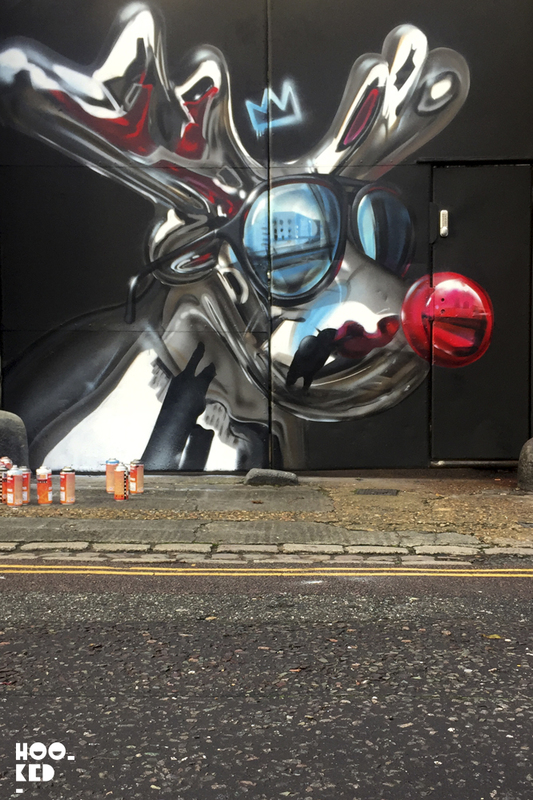 If you want to catch the chrome Christmas Rudolf, you will find the work located on Canal Walk in East London right next to Fanakapan's Neochrome Skull mural. 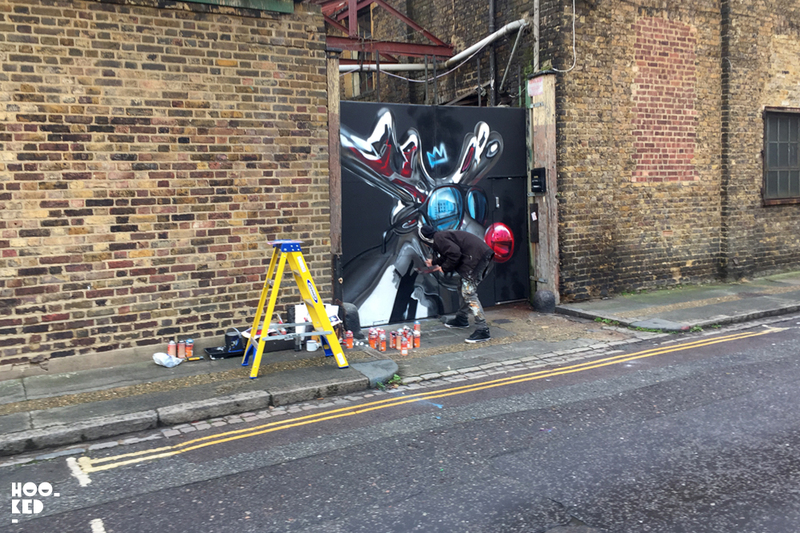 On a Christmas roll, Fanakapan returned to Brick Lane and began work on Hanbury Street on another larger scale mural with Art of the Hood hooking up the spot for him. 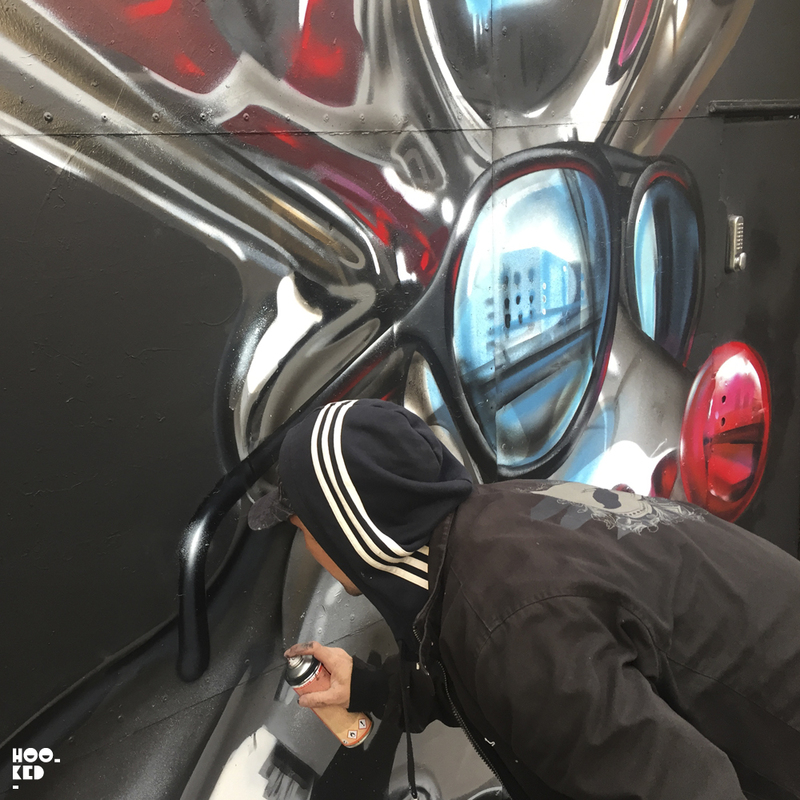 After checking in on the Rudolf mural to catch some finihsed photogrpahs, we caught up with Fanakapan once again marking up the initial sketches and outlines for the work. But what with us heading to the airport to catch a flight we will have to wait until after the holidays to catch the completed mural. Wishing all our readers a very Happy Christmas and a wonderful New Year from all of us here at Hookedblog, see you all in 2018.